A compact and robust 2-person mountain base tent for trekking and hiking. 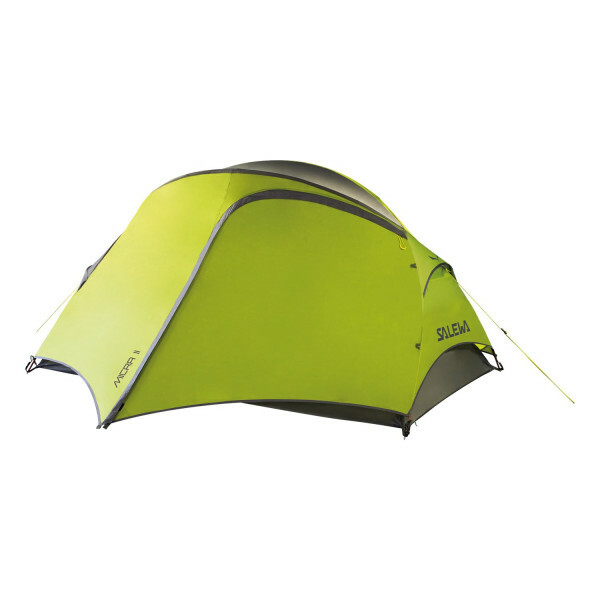 A long-time best-seller – the Micra II is a 2-person, 3-season, double wall dome tent for hiking and trekking trips. Great for one person, but big enough for two if you are carrying less gear. The robust and reliable modified dome design meets the requirements of trekking tours by offering large amounts of internal space (the unique two-pole design increases headroom but keeps the groundsheet small) and ensuring good weather protection, wind stability and ventilation at a low weight. It has a polyester flysheet with a 4,000 mm water column. The ventilation system has side vents to allow you to regulate the fresh air supply. The Micra II has a vestibule for cooking or gear storage to improve interior comfort. Further features include: lightweight and solid, rapid set-up 7001 T6 aluminium poles; high-quality zippers and guy lines; gearloft; rainproof entrance.